Following an invitation by His Eminence, Metropolitan Agafangel, First Hierarch of our Sister Church, the Russian Orthodox Church Abroad (ROCA)—which does not have a French-speaking Hierarch—and with the approval of the Standing Holy Synod in Resistance, His Grace, Bishop Ambrose made his second visit to Haiti, where the ROCA maintains Orthodox missionary communities which Protopresbyter Gregory Williams, from Tennessee, in the USA, supervises and oversees. in January—for the rejuvenation and strengthening of the small Orthodox flock in this Caribbean island country. and worked with Fathers Gregory and Ambroise to help improve the development of the Orthodox mission in Haiti. study, and also to the homes of Orthodox Christians, which are gradually being repaired, and this at a time when more than one million of the country’s earthquake victims live in tents under wretched living conditions, all the while showing fortitude, and even humor, in their tribulations! Bishop Ambrose gave those in charge of the Orthodox mission a substantial amount of money to help repair the school buildings and feed the children. The funds had been raised chiefly through the efforts of the young students of the Iconography School run by the Monastery of Sts. Cyprian and Justina, Phyle, Attica, who offered their works as prizes in a raffle held for this purpose. Father Ambroise responded with a brief letter of fervent thanks on behalf of the mission in Haiti. This pastoral visit helped and strengthened the Orthodox flock both spiritually and materially, and, in general, served as a breath of hope to this much afflicted country. His Grace, Bishop Ambrose of Methone was born in London, England, in 1949, into a distinguished family. He is a convert to Orthodoxy. Bishop Ambrose completed his undergraduate and graduate studies at the University of London, the latter in art history at the university’s famous Courtauld Institute. He undertook his monastic and theological training at the Monastery of Sts. Cyprian and Justina in Fili, Attika, of which he has been a brother since 1973. He also holds a Licentiate in Theology from the Center for Traditionalist Orthodox Studies in Etna, California. His Grace, a gifted polyglot who speaks eight languages (five of them with absolute fluency), has written on a number of theological and pastoral subjects. 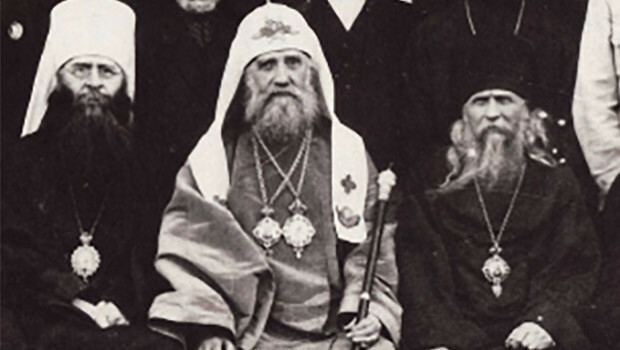 Among his writings in English are a chapter in Archbishop Chrysostomos’ Obedience (Brookline, MA: Holy Cross Orthodox Press, 1984) and, with Archbishop Chrysostomos and Bishop Auxentios, an excellent historical chapter in the book (now out of print), The Old Calendar Orthodox Church of Greece. 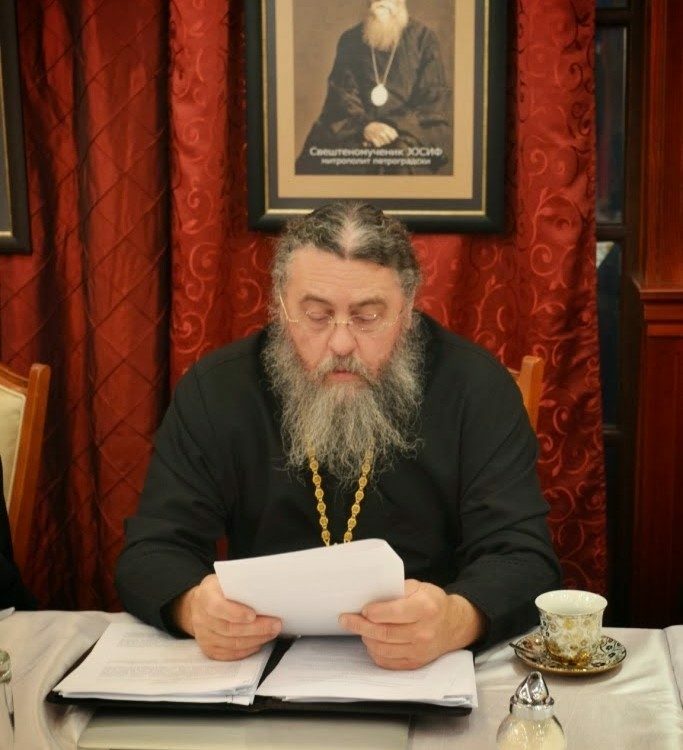 His brilliant and perspicacious theological discourses on iconographic traditions and various spiritual subjects have frequently edified his fellow Hierarchs at Synod meetings and at missionary and public convocations sponsored by the Holy Synod and the Monastery of Sts. Cyprian and Justina. Bishop Ambrose was Consecrated Assistant Bishop to the First Hierarch of the Holy Synod in Resistance on 8 January 1993 (Old Style) and is Director of Foreign Missions for the Holy Synod.